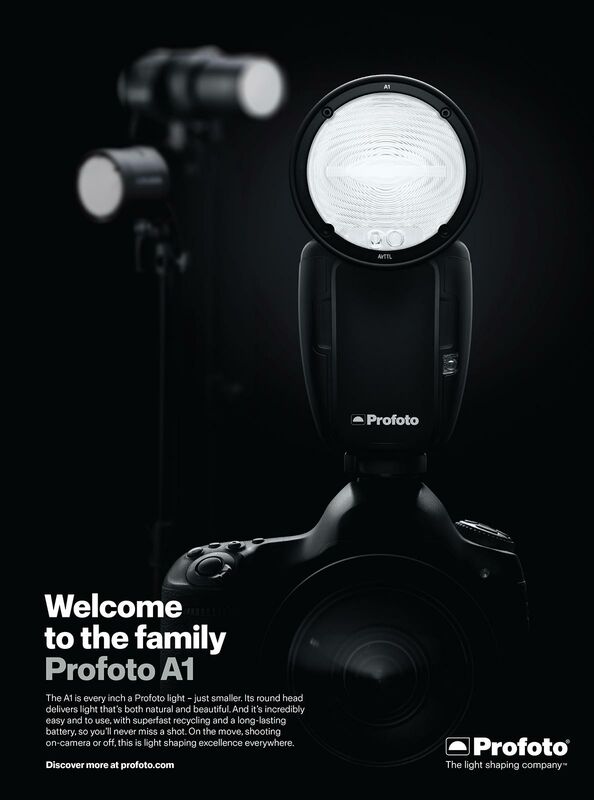 We’re proud to have worked with Profoto, the world leader in photographic studio & location lighting, on the global launch of their newest flash – the A1. We created an ‘emotionally relevant’ idea, and then we executed in multiple channels. Social, digital display, film content and the more traditional channels of print, poster, collateral/brochure design, point-of-sale – even email newsletters. 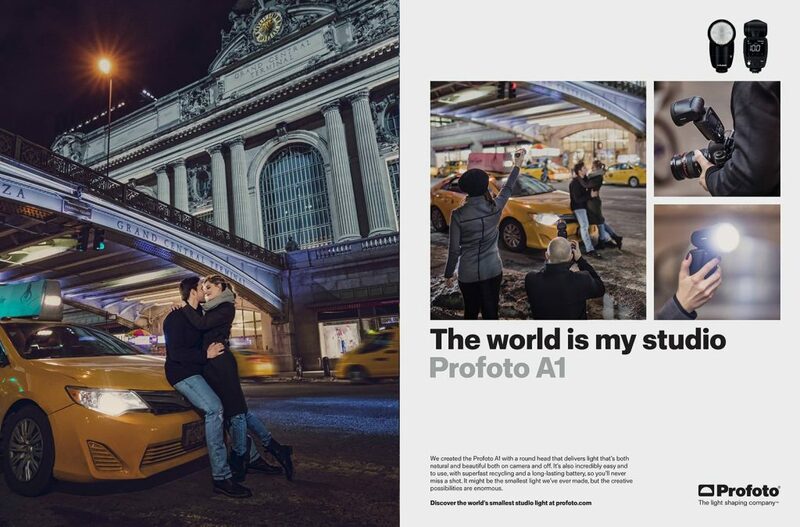 This is a truly global campaign appearing in markets as diverse as North America, China, Australia & Europe. A million speed-lights are sold globally every year (speed-light is ‘pro-photographer-speak’ for on-camera flash). 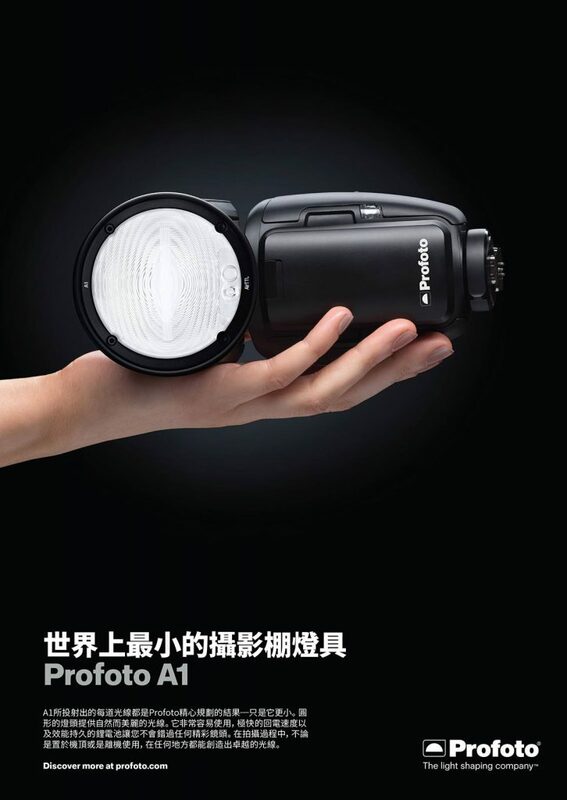 A huge opportunity then for Profoto. The A1 is Profoto’s first ever on-camera solution, but instead of positioning it as Profoto’s first ever speed-light – we positioned it as a Profoto studio light – made small. All their light shaping excellence, expertise, and market-leading superiority shrunk. 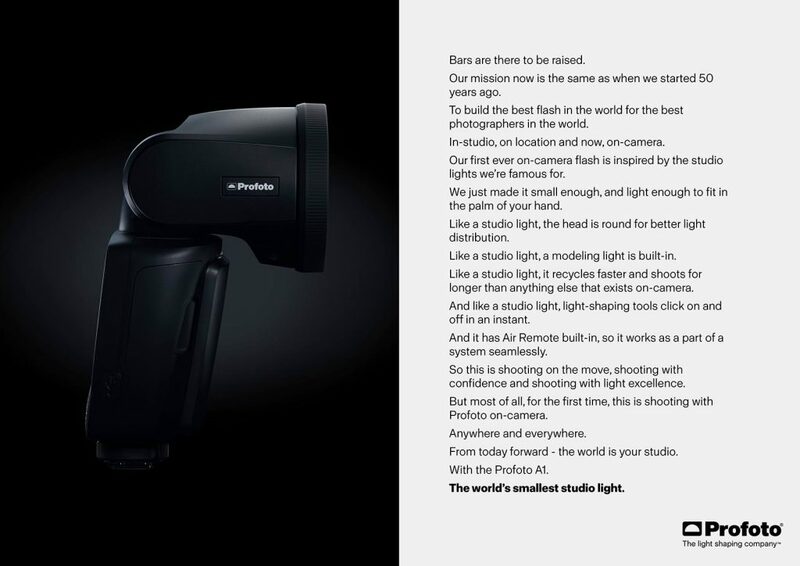 Above is the platform that articulated the thinking for Profoto (it’s not consumer facing). The ‘emotionally relevant’ idea that became the true-north for all the consumer-facing creative work we executed across multiple channels. The launch print campaign was designed to work in two phases. 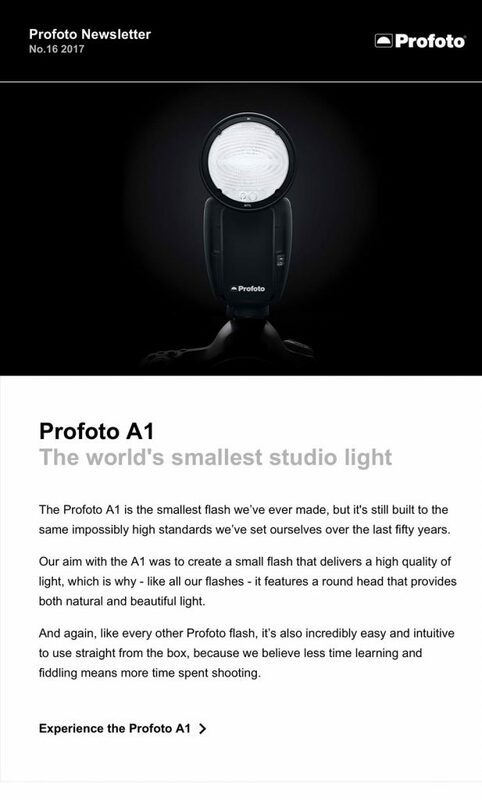 First, product print showing the A1 clearly on-camera. 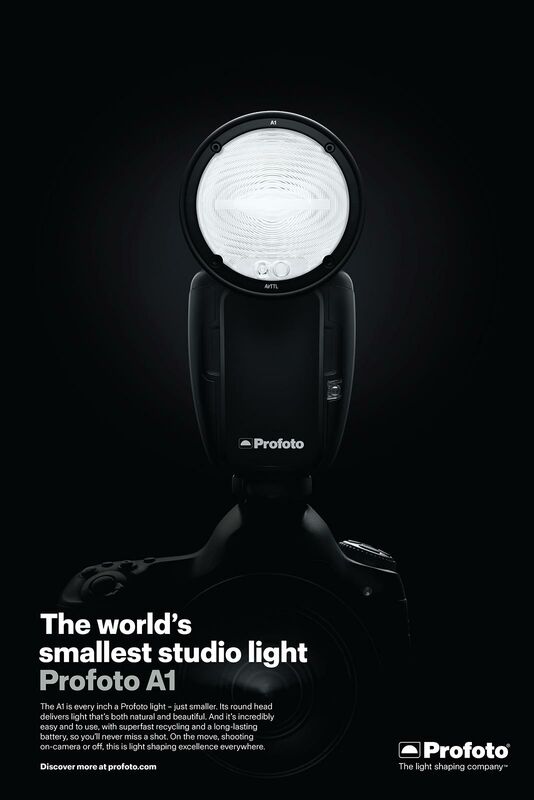 For photographers, just the sight of a Profoto light sitting on a camera hot-shoe is big news. 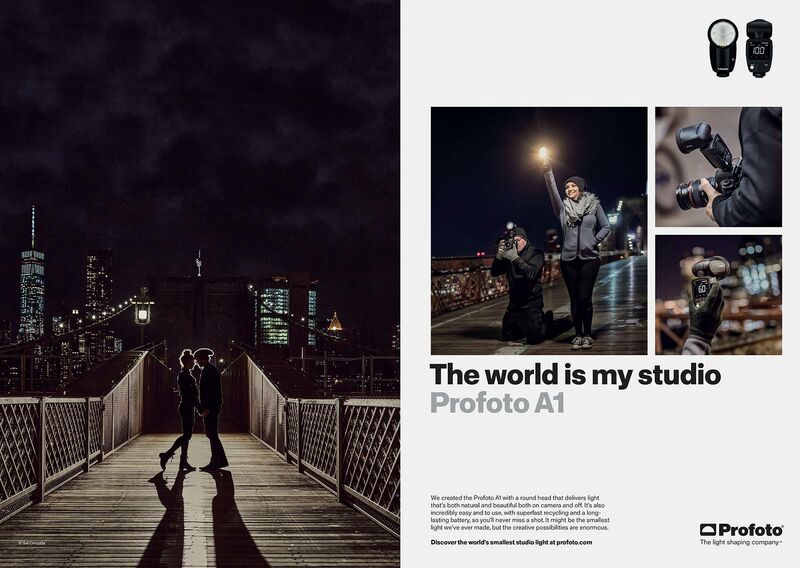 And second, a campaign showcasing what the Profoto A1 is capable of – the end-result. With behind the scenes images showing the photographer working with the flash. Sometimes simple wins. 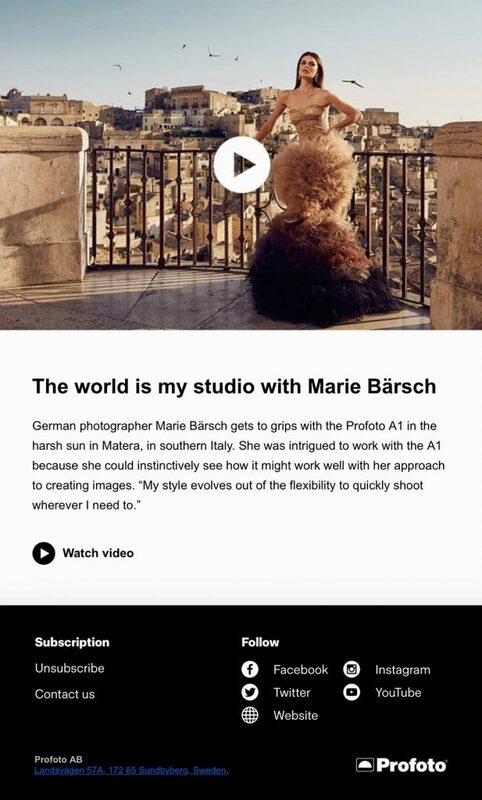 A short film for social channels built entirely in 3D. For the digital display, we utilised all the main-campaign visual assets and messaging for a consistent look and feel. 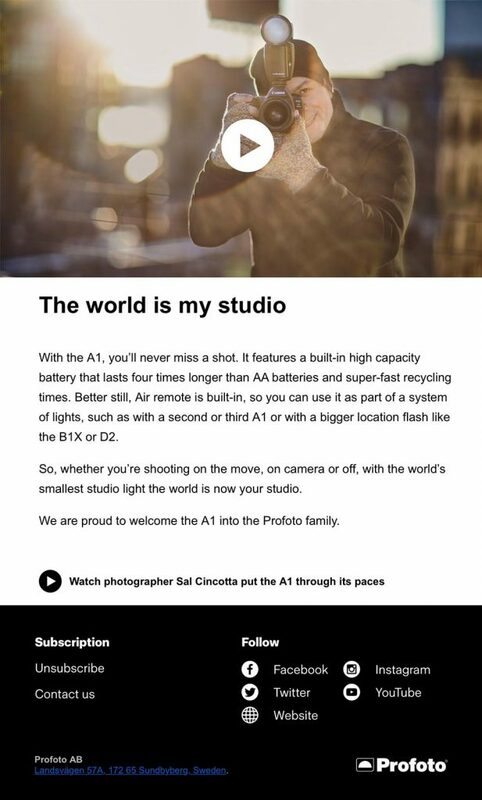 Online we provided copywriting not only for the main site (we’ve provided extensive copywriting for the entire profoto.com site) but for the A1 microsite where we had room to expand on the full story. Influencers will be vital to the success of the launch. To bring to life the executional idea ‘The World is My Studio,’ eight influencers with large social media followings were recruited from all around the world to create a video to showcase their experiences with the Profoto A1. 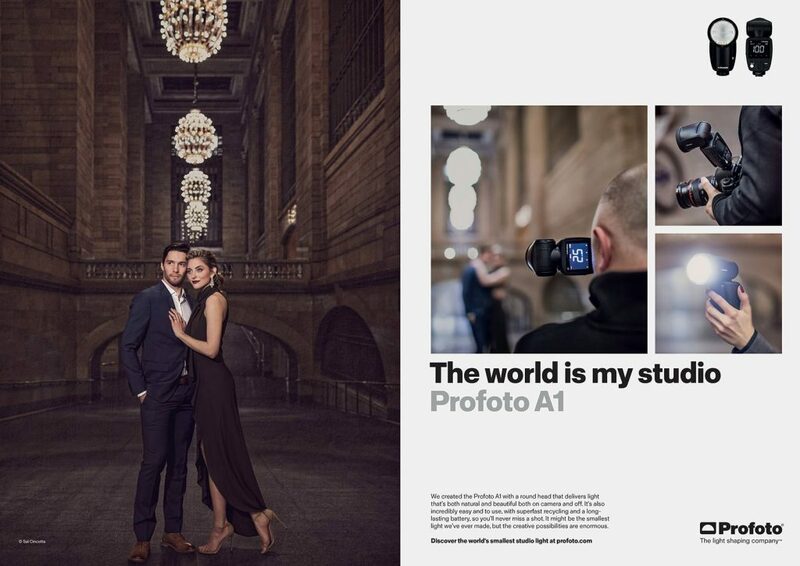 While we leveraged key creative assets across social media platforms, #theworldismystudio and #profotoa1 helped to drive and spread the conversation through influencers like Marie Barsch showcasing her shoot with the A1 in Italy, and early adopters like Holly Wren showcasing a recent shoot with the A1 in London. 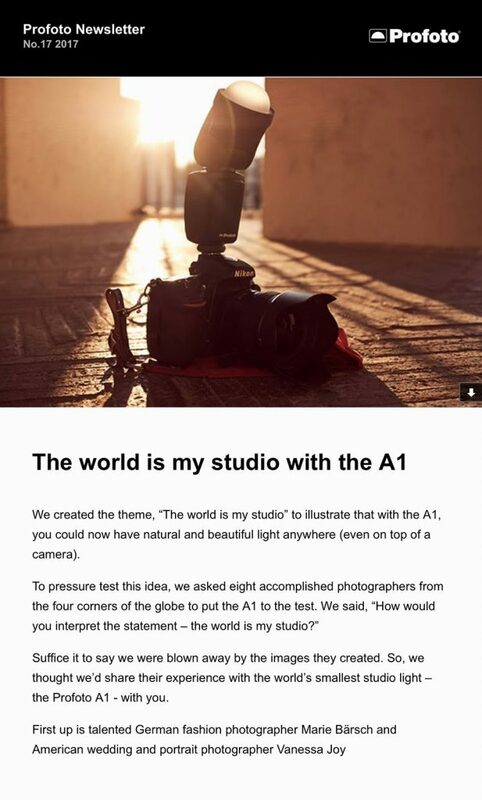 That was supported by email newsletters which we provided copy content for. We even executed in the more traditional areas like POS and collateral, dealing with all aspects of design, copywriting and final art.